Baby is the size of: a coconut! According to my app he is around 11 inches long and weighing about a lb. If I had to guess I would say he's probably a bit bigger than that though. He has starting sleeping in cycles and is sleeping around 12-14 hours a day. Symptoms: This little boy is sitting low and causing some pretty bad aches and pains, especially when I first get out of bed in the mornings. My belly button has now officially become an outie! Weight Gain: up 4 lbs from pre-pregnancy weight. Movement: He's moving and grooving in there! He's still much more active than his older sister was, and I love feeling every kick and punch. Cravings/Aversions: Nothing specific. Nothing ever sounds really appetizing though, which makes it hard to decide on what to cook for dinner. Missing anything: Same ole' stuff. Sleep: No complaints in this department. Maternity Clothes: Leggings and maternity tops are my go to pieces. I'm also trying to get as much wear out of my boots right now as possible just in case I start swelling too much to weather them later this winter. Nursery: Paint colors have been decided on, so now we just have to take on the task of painting that room. Best moment this week: Celebrating Halloween with Charlie Beth. 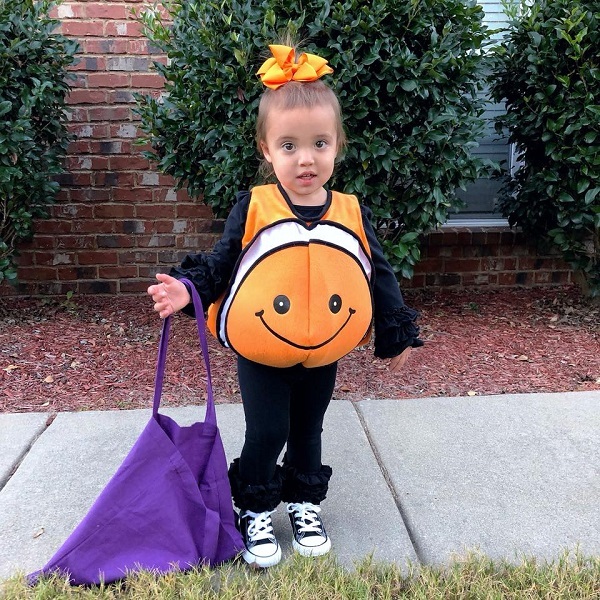 She was the cutest Nemo I have ever seen! Looking forward to: Celebrating my big girl turning TWO years old this weekend! I still can't believe she's about to be two. It seems like I was just pregnant with her. Now she's turning another year older. It's crazy how fast time flies! Love Charlie Beth's costume and can't believe she is turning 2!!! CB's costume was sooooo cute!!! 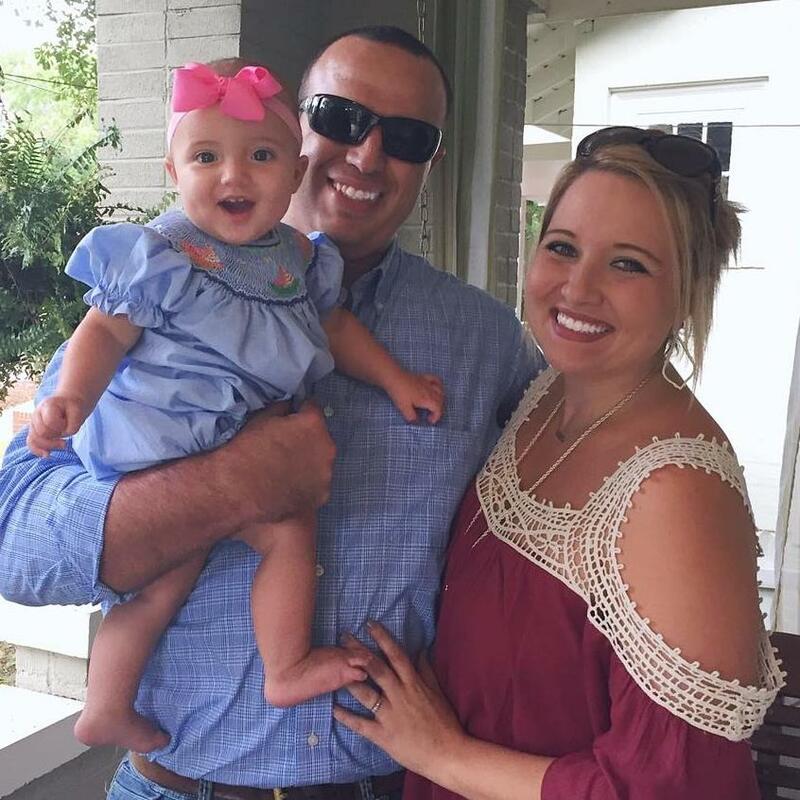 can't wait to see what you are doing with that sweet boy's nursery! Zoe is excited to attend her first birthday party on Sunday!! !